Spring greens, known as potherbs or garden sass in times past are delicious. Go foraging for your free food from the fields. Little green shoots poking out of the ground heralds spring time, and delicious spring menus. If you know how to dress up these delicate greens, you can have memorable months with exciting new dishes. The best being that the food is free, growing in your fields. If you do find sorrel, nettles and dandelions to use in these dishes, please make sure that they haven’t been growing next to roads that receive traffic or in places that may have been affected by poisonous sprays. After harsh winters it is heartening to see new growth and your body can do with the minerals and vitamins that these spring greens will provide. However, please do not pick any plant to eat unless you are absolutely sure that you have identified it correctly as the plant you can eat. There are many plants that mimic the good plants and we would hate you to get sick or worse, but eating something you didn't identify correctly. If you have identified it correctly, then enjoy harvesting your free food, and making these spring greens recipes for soups and salads. Sheep sorrel also known as sour grass, sourweed or sour dock. It is a very common plant found in meadows, along pathways and roadways and grows to about 2 feet in height. The leaves are arrow-shaped with a red tinge to them, borne on redish stems. Even the flowers when they bloom are supported by reddish spikes. You can get another variety of Sheep sorrel which is called Pale Sorrel and this has pale green leaves with light pink flowers. This is a herb that is best picked at the beginning of spring when the leaves are tender and young and very small. It is not too pleasant to eat once the leaves get bigger. Sorrel is a good source of Vitamin C.
Sorrel is a perennial herb that grows through late winter and early spring. It is the wild sorrel that many find ideal for a variety of dishes. 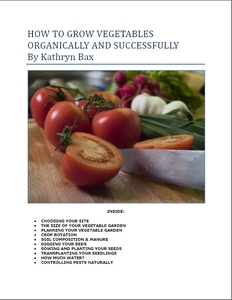 As it is plentiful and easy to harvest a number of recipes have emerged. Sorrel soup is just one, and we have the recipe below. Sorrel Soup is a very simple soup that makes good use of these plentiful spring greens. Ring the changes by including chopped fried onion or some minced fried mushrooms for a fuller flavor. Here’s another recipe using Lamb’s Quarters. This is an easy spring salad with a sorrel dressing. Mix all ingredients together in a big salad bowl and toss well. Serve at once. Croutons and/or grated Parmesan cheese may be added for flavor and color. A final recipe for sorrel and this is a cheese and sorrel soufflé. Heat butter in a saucepan and stir in flour with a whisk. Cook for 2 minutes over a low heat. Slowly add milk, whisking as you pour. Add sorrel and cheese and remove from heat. Separate the eggs and beat the yolks until light and frothy. Beat whites in a separate bowl until stiff peaks form. Butter the inside of a soufflé or casserole dish. Stir the egg yolks into the sauce and then lightly fold in the egg whites. Mix gently because over mixing will result in a weighty soufflé. Pour the mixture into the buttered dish and place in a preheated 400° F oven. Bake for 25 minutes or until light brown and puffy. Serve immediately. Nettles are also spring greens that can be obtained free and found mostly in moist areas around streams and rivers. They can grow to 3 feet and have small, hairy leaves on hollow, hairy stems. There are 2 varieties of nettles that can be eaten Urtica Dioica and Urtica Chamaedryoides. Picked during the spring time this otherwise prickly plant is tender and delicious, however please pick with caution and wear heavy-duty gloves and a good pair of scissors. For those of you who have been stung by stinging nettles can vouche that it is a very painful experience. Nettles don’t need a long time to cook and are best steamed. Nettles are a good source of Vitamin C and A, as well as a good source of protein. Nettles make excellent food for livestock, especially chickens for egg laying. Try our nettle recipe that puts a new spin on Mushrooms on Toast. Place the nettles, mushrooms, oil and onions in a frying pan and heat, tossing with a spoon until the mushrooms begin to weep and the nettles start to go limp. Cover and steam for 2 minutes more. Serve. Wild asparagus can be found in old fields and farm sites. It has needlelike leaves that bear yellow flowers on the ends followed by red berries containing seeds that people used to roast and use as a substitute for coffee. However, it is the thick, purple-green shoots that you are after that appear before the leaves do. Cook straight away by boiling in a very little water to which some salt has been added and serve as a vegetable. You could serve with a cheese sauce or have cold drizzled with some olive oil and balsalmic vinegar. These spring greens can be found all over if you know where to look. Seek them out in open fields and grassy meadows. They grow in clumps and the onions and garlic have long, narrow strappy leaves so should be easy to spot. Wild leeks have broad, elongated leaves that taper at the top. Nodding Onions: These spring greens, also known as nodding onions because of their white, cream or rose colored flowers that nod in the breeze have some bulbs that form above the ground. Meadow Onions: Theses spring greens have white, star-shaped flowers and also have some bulbs that form above the ground. These plants are not very big ranging from 8-24 inches. You can also find meadow onions in open woods. All parts of wild onions can be used; the leaves, the stems and the bulbs. Use them to flavour soups and stews. You can also pickle the small bulbs that form above the ground on the flowers (Bulbils) and make pickle onions. Take the bulbils and place them in a jar. Pour over brown vinegar to which a teaspoon of sugar has been added. Place the lid on the jar and shake several times to dissolve the sugar. Leave for a week and then use. Wild Leeks: These spring greens known as ramps are either loved or hated by those that eat them and those that have to hang around those that eat them. They are very pungent, stong tasting and linger on the breath for a long time. However, for those who do like them ramps can be found in moist woods and valleys, close to water in dark, damp places and can often be found to grow near maple trees. They have broad, lily-like leaves and grow to about 12 inches high. Use ramps; both leaves and stems in soups, stews, add to salads, omelettes, mashed potatoes, souffles and cheese dishes. You can also serve them as a vegetable. Par boil them for 3 minutes then cut up and fry them in a little butter. Wild Garlic: These spring greens again grow in clumps with long leaves, although like the cultivated garlic, onions and spring onions the leaves are hollow. Again this plant develops bulbils which can be eaten, and all parts can be eaten; stems and leaves. You can use the bulbs of the garlic either fresh where you can slice and add to stews, and other meat dishes or you can preserve it in olive oil or dry the bulbs and then pulverize to a powder to then be used sparingly. You can also make a garlic vinegar by steeping the peeled garlic bulbs in a jar filled with brown vinegar. Replace lid, and store in a cool, dark place for 2 weeks before using. Enjoy your spring greens and using these easy recipes!